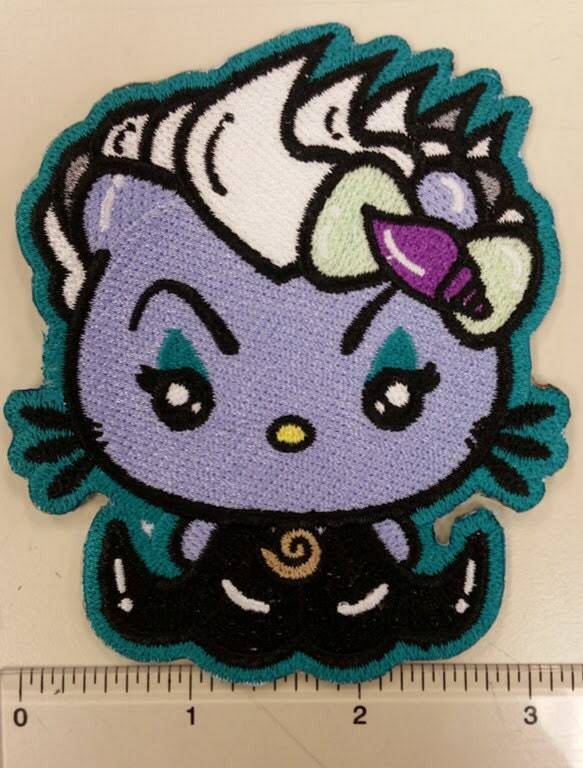 This nice looking patch is a crossover of Hello Kitty and Ursula from the Little Mermaid. 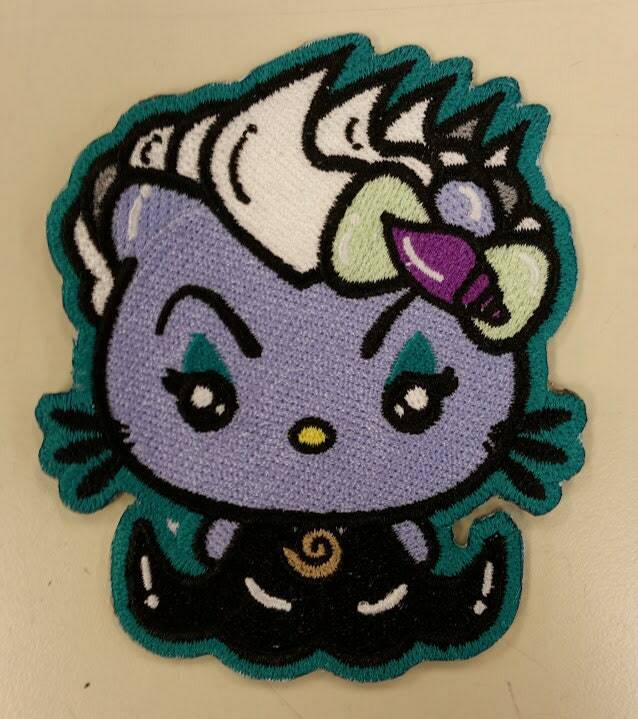 It is sewn with lavender, dark teal, purple, pastel green, white, and yellow thread. It measures approximately 3"W X 4"H. It comes with an iron on adhesive to help with application. If you buy 3 patches or more use the coupon code BUY3GET3OFF to get $3 off your total order. Patch mailed in 2-5 business days after you purchase them. First class USPS shipping for United States customers. Bought this for a client. May have kept it for myself. Absolutely love it!